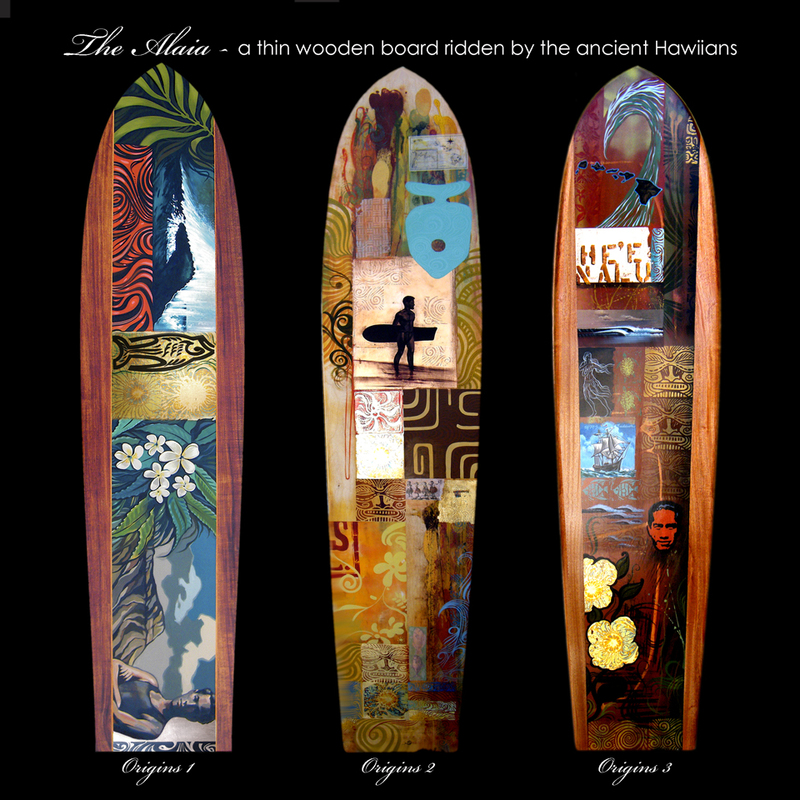 Custom surfboard art by world famous artist Wade Koniakowski, inspired by ocean and Polynesian art. Koniakowsky began surfing at age 12 and by his teens he was making his own boards, complete with elaborate artwork. Surfboard art was his early medium of choice, more so than canvas. Today, he has refined his surfboard art into an expression of pure beauty and passion for the ocean. The “Polynesian Art Collage” is perhaps the most popular motif for Wade’s board art, with depictions of rich cultural heritage of the south Pacific Islands. No one creates surfboard art quite like Wade Koniakowsky. Each surfboard is a custom piece. The average price for a 6-7 foot board is $4,000. The artist will work with you and design your custom piece complete with a sketch that meets your approval. Keep in mind special items such as portraits and other subject matter that are unfamiliar to Wade will constitute an extra charge. Delivery is usually 6-8 weeks. For information on commissioning a surfboard, please contact Lynn at 760-419-6103 or lynn@koniakowsky.com.